Jake Kheel is environmental director for Puntacana Resort & Club, a Dominican Republic development company with a distinguished history in sustainable development. Kheel also is executive director of the not-for-profit Puntacana Ecological Foundation, which supports innovative solutions to social and environmental issues in the Punta Cana region, including recycling, conservation of endangered species, coral reef restoration and marine management. The Punta Cana region was launched in 1969 when investors led by Kheel’s grandfather, Theodore Kheel teamed with Frank Rainieri to acquire 18.5 square miles of jungle on the Dominican Republic’s east coast, which they envisioned as a new tourist destination. 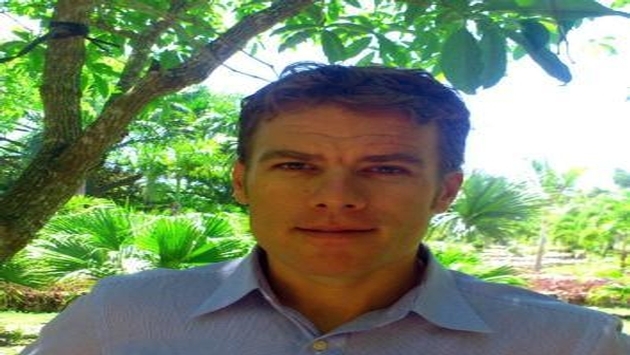 We spoke with Jake Kheel last month at the Caribbean Conference on Sustainable Tourism Development in Trinidad. At the conference you outlined the environmental initiatives your company pursues. Which program has had the most significant impact on your operations? In 2007 we began a “Zero Waste” program at Puntacana Resort & Club. We implemented a waste classification program in all areas of the resort, built a waste recycling and distribution center for the sale of recyclable materials, and initiated large-scale composting operations. Later we began producing energy for our laundry, Puntacana Laundry Service, at our biomass facility. Our goals were straightforward: reduce our waste hauling and disposal fees, improve the quality of our waste management throughout the resort, and minimize our environmental impact by reducing and eventually eliminating the sending of garbage to the local dump. How has the program worked? While the project is not completed and will always be subject to revision and improvement, it has achieved our original goals and more. Zero Waste has impacted all aspects of our operations, from how we market and present ourselves to prospective real estate clients and guests at our hotels, to how we train our new and existing employees, to the types of purchasing we do, to the decisions we make in future development projects. Zero Waste has become part of the operating philosophy of our company and has had a significant impact on other resorts and companies in the Dominican Republic beyond anything we envisioned. Our project has become a case study that proved that developing alternatives to garbage is not only possible in the Dominican Republic, but also creates tremendous value for the company doing it. The term “sustainable” is often controversial and confusing when linked with resorts, often used to describe “green” programs of questionable value and impact. How do you describe sustainability? I think our greatest contribution to the idea of sustainability is to create practical solutions to real-world problems that provide economic, environmental and societal benefit. Rather than talk about what sustainable is in a theoretical sense, we prefer to implement tangible projects, often using our resort as a test case for new ideas or technologies and then sharing our experiences, both the successes and failures, so that sustainability can move beyond simply an idea. Sustainability has a tremendous potential for innovation and creativity, so I don’t believe in limiting what it means or what it can be. Our approach has to been to identify business, environmental or social challenges, and then develop and implement real solutions for those problems. We think Zero Waste is a good example of this philosophy. Why is it important for Caribbean destinations and hotel and resorts to adopt a sustainable approach to tourism? Caribbean tourism has two primary attractions. We have our incredible natural resources, including our distinctive agricultural resources, and we have our rich cultural and human resources. If we don’t invest in protecting and nurturing these resources, we will eventually damage our own business. This has happened in many places. The Caribbean, more than most destinations, has a deep dependence on natural and human resources for its economic success. Sustainable tourism is really the only viable option for the long-term economic success of Caribbean tourism. At the Trinidad conference you discussed your grandfather, Theodore Kheel, and how creating a sustainable resort area in Punta Cana was a necessity for him as well as an obligation. Why do you think he felt this way? Ted Kheel was an important role model and influence on my career and my vision of sustainable development. Ted was a lawyer and labor mediator and became a renowned expert in conflict resolution, working for numerous U.S. presidents and helping resolve numerous intractable disputes. In terms of sustainability, Ted viewed his role as a lawyer with expertise in conflict resolution, more than as a resort developer. He believed that economic development and environmental protection are both important societal goals, but as currently practiced, they are in direct conflict. Ted considered sustainable development as the best way to resolve the conflict between environment and development. He dedicated the end of his life and career to trying to find ways to resolve that conflict, whether through his philanthropic work, business decisions or in his role as a resort developer. My role at Puntacana Resort & Club is to implement his vision and try to create concrete, tangible programs of sustainable development that can serve as examples to be replicated or improved upon. I think about Ted all the time in my work.